Around 62% of Americans favor marijuana legalization. One of the very basics of marijuana is the main two strains sold in dispensaries – Indica and Sativa. In this post, learn the basic differences between Indica versus Sativa strains so you know which are right for you. The pro-cannabis population is increasing in the United States. In select states, you can simply walk into a dispensary and get a cannabis product that suits you, many times these will be labeled as Indica or Sativa. It’s important to know the differences between Indica and Sativa. That way, you can make educated choices about which ones will benefit you the most. There are 2 main species of cannabis: Indica and Sativa. When cannabis growers crossbreed these species, they’re called hybrid strains. Sativa often has a more energetic and stimulating high. Indica strains usually have more of a body high. However, it’s still possible to smoke Sativa and get what feels like an Indica high feeling. The same applies vice versa. Each person’s reactions to different strains are unique. Hybrid strains can be both upper and downer depending on which species is dominant. The Indica vs. Sativa high has different effects. For instance, Sativa is more likely to increase anxiety. Indica has a more calming effect, making it ideal for decreasing anxiety and helping people fall asleep. Most people prefer Sativa for daytime use and Indica for nighttime use. Sativas are good for treating mental health conditions like depression or ADHD while Indicas are better for treating physical pain. Sativa, Indica, and hybrid strains alike can all treat nausea. If you look at Sativa vs. Indica pictures, you’ll notice both plants look different. Indica plants are shorter (3 to 6 feet tall) with dense branches. Their leaves are broad. Indica plants are ideal for growing indoors. Sativa plants are taller with loose branches. (These plants can grow up to 20 feet tall, making them better for outdoor growing.) Their leaves are narrower and more elongated. Hybrid plants usually have physical characteristics of both Sativa and Indica plants. Indica plants tend to have shorter flowering periods (45 to 60 days) than sativa plants (60 to 90 days). Having a shorter flowering period makes Indica plants mature and complete their growth faster than Sativa plants do. Looking at Indica vs. sativa flower (buds) pictures will highlight the difference in yields. All strains and marijuana products have different THC:CBD ratios. THC and CBD are the 2 most popular cannabinoids in cannabis. Cannabinoids are the compounds in cannabis. THC is the psychoactive compound in marijuana that makes you high. 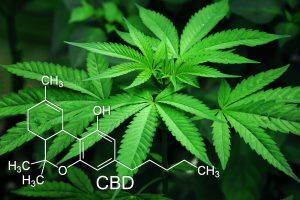 CBD, on the other hand, is non-psychoactive and can even counteract a THC high. CBD also helps improve an array of health conditions, making it a popular choice among consumers. Generally speaking, Sativa strains usually have more THC than CBD. The high THC content is part of what makes Sativa strains promote energy, creativity, and alertness. Indica strains often have more CBD than THC. This helps create the relaxing effect of Indica, including its muscle relaxant properties. However, these rules don’t always apply. A Sativa strain can have a high CBD ratio while other Indica strains contain high levels of THC. Stay informed by always checking the THC:CBD ratios of any cannabis strains or products you smoke/ingest. When it comes to edibles, start out with a lower dose and work your way up. Terpenes are essential oils in cannabis that give each strain its aromatic smells and flavors. They also play a role in determining whether a plant is considered Indica, Sativa, or hybrid. The amount of a specific terpene in a strain can decide a strain’s classification. For example, myrcene is a terpene with anti-inflammatory and sedative qualities. If a strain contains 0.5% or more of myrcene, it’s considered an Indica strain. A strain that contains under 0.5% of myrcene is classified as a Sativa strain. Another terpene example is pinene. Pinene makes cannabis smell and taste like pine, its namesake. This terpene is present in conifer trees, rosemary, basil, and other herbs/plants. Pinene also has anti-inflammatory and mood-boosting properties. It occurs more often in Sativa plants as opposed to Indica plants. The tastes and smells of Indica strains are more earthy and skunky. Sativas smell sweet (like citrus or fruit) or spicy. A hybrid strain’s taste/smell depends on its parent plants. You can only be sure about what kind of cannabis you’re getting if you buy it from a legal dispensary. A budtender knows for sure whether the cannabis you want is Sativa, Indica, or hybrid. Budtenders can also tell you if a plant is Indica dominant or Sativa dominant and by what percentage/ratio. Dispensaries have exact information about the cannabis products they sell. That’s because most dispensaries get their marijuana strains/products tested in labs. However, a street dealer can and will tell you anything to sell their black-market products. When you buy from a street dealer, you have no way of knowing if the “weed” you’re getting is Indica or Sativa, other than an educated guess by the look of the flower, let alone if it’s good for your condition(s). At a dispensary, you simply tell the budtender your conditions and they’ll recommend the best strains and products to you. Around 37 million Americans used cannabis in 2017. Knowing the difference between Indica versus Sativa is essential knowledge for all cannabis users. The cannabis industry is booming in the United States. Experts predict that legal marijuana sales in North America will reach $25 billion by 2021. Expect to see more cannabis in the future, when you get more into cannabis you will even find a third strain, Ruderalis, that is just starting to become more popular. 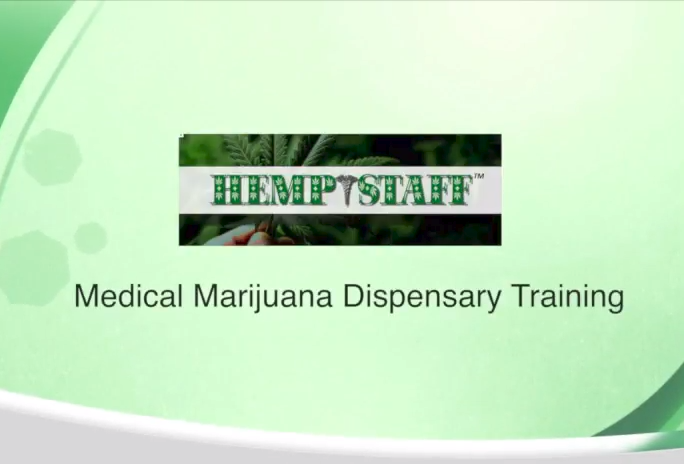 Interested into getting into the cannabis field and exploring different cannabis jobs?